I love coffee table books! There are so many lovely ones to choose from, and I could honestly spend hours in Waterstones browsing all of their beautiful covers and flicking through the glossy pages. Whether it’s beauty, lifestyle, food or interiors – there are so many stunning books to choose from, and I love collecting as many as I can. I thought it would be a nice idea to collate a few of my favourites into one post so that you can find the perfect reads for your coffee table too! One of the most over-photographed books of all time is probably Love x Style x Life by Garance Dore, but there’s definitely a reason why everyone seems to have it! It’s a witty, well laid out guide to love, style and life, with some beautiful comparisons between Paris and New York. I love that there’s a real mix between illustrations, pictures and words – and several inspiring quotes dotted throughout the book too. The colours are beautiful, as is the writing style. I often find that a flick through this always leaves me with a new idea and more inspiration on how I want to lead my life. Speaking of Paris, I recently purchased How To Be Parisian Wherever You Are and it definitely makes for an interesting read. It has a very light-hearted take on French women and their stereotypical lifestyle, with lots of wit and humour along the way. It’s a very aesthetically pleasing book too. I love having it on my table for a laugh or a quick and easy read. There’s some take home advice in it too, which is always something I love. A more recent discovery (and one for those who love decorating), Cupcakes & Cashmere At Home makes a lovely gift for someone who has just moved into a new home. It’s packed full of ideas for interior decorating and creating magical spaces on a budget. This is the kind of book that you can keep drawing inspiration from and recreating aspects from it into spaces around your home. I’m in the process of making up our new house, so I often find myself looking through this book for more ideas on how I could decorate. 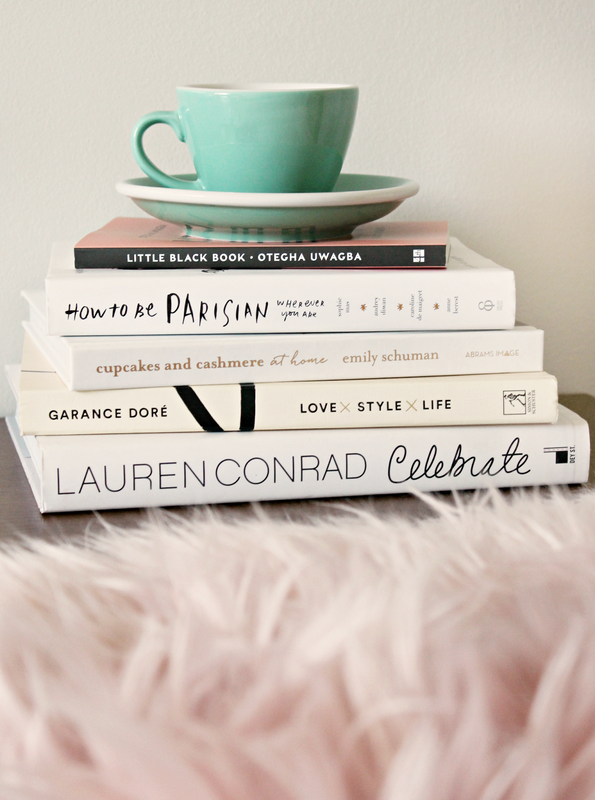 If you love party planning and hosting at your house, Lauren Conrad Celebrate is the perfect book for you! I love looking through all her ideas and top tips for planning everything from a baby shower to a birthday party, with all the decorations and tasty recipes mapped out, beautifully photographed and ready to be inspired by. I have all three of Lauren Conrad’s beauty/lifestyle books, and they’re all great for this very reason. Last but not least, I know I’ve featured the Little Black Book by Otegha Uwagba quite a few times on my Instagram, so I had to mention it in this post. This is the perfect pocket sized guide to working as a woman. I love the tone that the author speaks with – almost like a big sister taking you through her own experiences and practical tips for navigating the working world. It’s packed full of advice, and it’s such a helpful read for those who are just entering the world of work, or those who have been working for a while alike. Next Post My Latest Fragrance Addition.